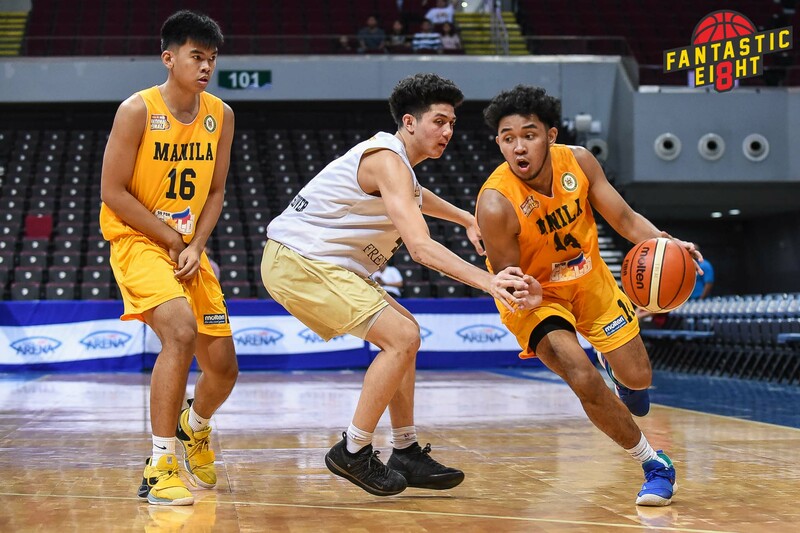 FEU-Manila continues to make the most of its wildcard entry in the 2019 Chooks-to-Go/NBTC League National Finals presented by SM even as La Salle Green Hills-Mandaluyong advanced to the semifinals for the third year in a row. The Baby Tamaraws representing Manila battled back from 15 points down to bounce out Durham Crossover-Toronto, 87-84, Thursday at SM Mall of Asia Arena. 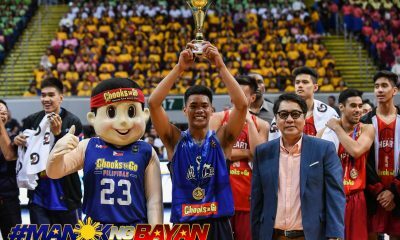 RJ Abarrientos fired 20 of his 32 points in the final frame to go along with eight rebounds and seven assists. “Ganun talaga si RJ. 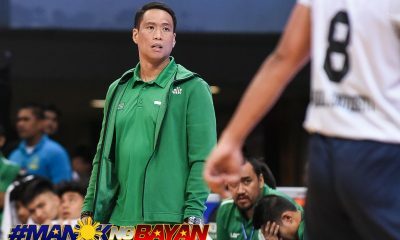 Talagang magde-deliver at magde-deliver yan,” said head coach Allan Albano. The Fil-Canadians had a nine-point lead, 67-56, after three quarters, but had no answer for the veteran guard in the clutch. 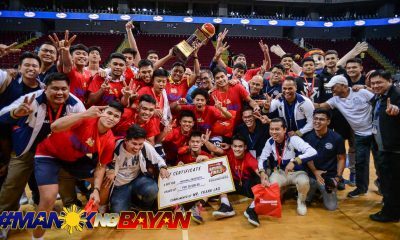 “Sa lahat ng tournament, consistent kami sa slow start. Buti na lang, nagigising kami sa dulo,” said Albano. Abarrientos, by his lonesome, outscored their opponents, 20-17, in the pivotal period. Much of his outburst came courtesy of three-point plays, including a couple of triples and one basket and bonus. FEU is the first wildcard to advance to the Fearless Four in the 12-year history of the national championship sponsored by Chooks-to-Go, Darlington-Exped Socks, EPSON, Huawei, Freego, Purefoods, Gatorade, Go for Gold, SM, Molten and also presented by 5 Plus and Lighthouse Events. 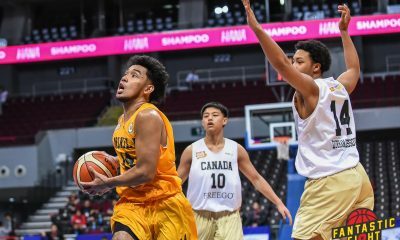 Meeting the Baby Tamaraws in the semifinals is Mandaluyong-based LSGH which dispatched Vancouver’s Top Flight Hoops, 99-69. 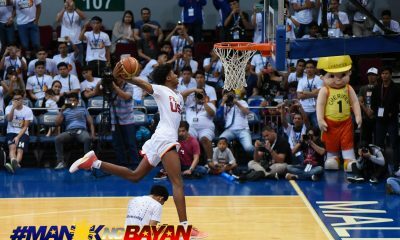 Joshua David showed the way with 23 points, three rebounds, and three assists while Inand Fornilos and RC Calimag merged for 25 markers, seven boards, and four dimes. 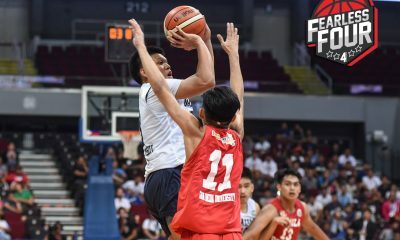 The NCAA runner-up took charge from tip-off and never trailed in the win that sends them to the Fearless 4 on Friday still at the same venue. For the Canadian teams, Kit Miramor top-scored for Top Flight with 23 points while Brendon Ocampo got 18 markers to lead four teammates in double-digits for Durham Crossover. In Division 2, Lyceum-Cavite breezed to the semifinals after cruising to a 93-61 triumph over St. Mary’s College of Tagum. They will be matched up with Italy’s Proudly Pinoy which downed Sto. Domingo National HS from Legazpi, 83-75.